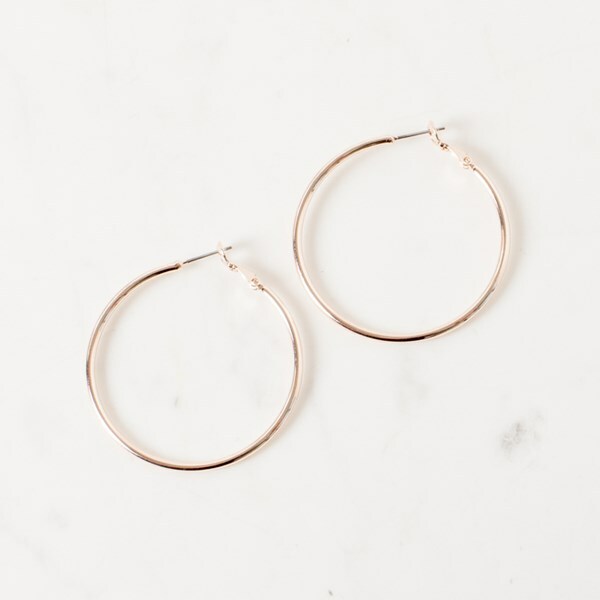 These medium fine hoops have a classic silhouette with an easy to style size. These hoops work just as well in the office as they do out to cocktails. 5cm Diameter, Lever Back Closure.